Thickness gauge is a simple, direct reading thickness caliper with an expanded scale which measure from 1/32" to 2" (0-55mm). 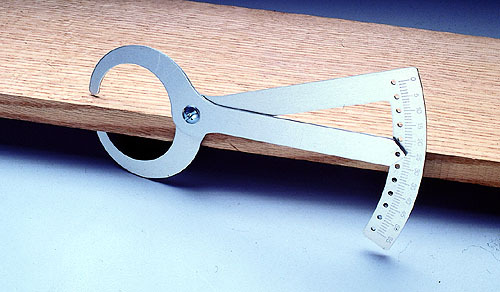 Use the tool as a go/no-go gauge. This new tool completely eliminated the tedious and constant measuring associated with planing and surfacing..